Loyalty programs are constantly changing, and so are the credit cards associated with them. Sign-up bonuses rise and fall, benefits are added and removed, programs devalue or revalue. And it all happens with little or no notice. Offers and terms that are valid today could be gone tomorrow. Or even later today! But in the world of frequent-flyer miles and hotel points, the cards you carry are key to the success of your award travel strategy. To make the most of them, you have to stay up to date on the credit card offers out there, and to take advantage of great new deals as they become available. Each month, I compile a list of the top current travel rewards credit card offers to help you do just that. Many of the cards on this list remain consistent from month to month thanks to great benefits and fairly steady bonus opportunities, like those on the Chase Sapphire Preferred Card and the Citi Premier card. However, the list does change, and the rankings shift along with the offers. For example, you’ll notice that the Ink Plus Business Card from Chase tops the list this month thanks to a higher-than-usual sign-up bonus of 60,000 points; and the British Airways Visa has reappeared this list for the first time in a while thanks to its current sign-up bonus of 100,000 Avios. This is not a list of every offer on the market. For that I recommend checking out the TPG Top Deals page, where you can find a comprehensive roundup of the best deals currently available, as well as specific hotel and airline credit cards that might interest you. However, if you’re looking to apply for a credit card now, this list features the top options. Check back each month for updates and the latest, best offers out there. Before you apply for new cards, check your credit score and read the posts below for advice and tips. Here’s the short list of cards, but continue reading below for more details on each of them. Current Bonus: 60,000 Ultimate Rewards points after spending $5,000 in the first three months. Benefits: Earn 5 points per dollar at office supply stores, and on cell phone, land line, internet and cable TV services (on up to $50,000 in spending annually), and 2 points per dollar spent at gas stations and on hotel accommodations (again, on up to $50,000 in spending annually). No foreign transaction fees. Ability to transfer points to 11 travel partners, including United, British Airways, Southwest and Hyatt. Note that as of December 8, you’ll no longer be able to transfer points to Amtrak. Reasons to get it: The Ink Plus tops the list this month thanks to a limited-time sign-up bonus offer of 60,000 points. (That’s 10,000 points higher than normal.) Chase releases an offer like this periodically, but you never know if or when these will come around again. The one catch is that you have to pay the first year’s $95 annual fee, whereas with the normal offer, you do not. So one way to look at it is that you’re basically paying $95 for an extra 10,000 points. That’s about 0.95 cents per point. However, I value Ultimate Rewards points at 2.1 cent apiece, so I’d still say this is a great opportunity if you’re considering signing up. Plus, based on my valuations, the sign-up bonus is worth about $1,260 in value. The card also offers 5x and 2x category spending bonuses, which makes it a great option not only for small-business owners, but also for strategic spenders. Current Bonus: 50,000 Ultimate Rewards points when you spend $4,000 on the card in the first three months. You’ll earn another 5,000 bonus points when you add an authorized user and make a purchase within the first three months. Benefits: This card regularly makes my list of the top travel credit cards thanks to earning 2x points on travel and dining, no foreign transaction fees, primary auto rental insurance and the ability to transfer points to 11 travel partners, including British Airways, Southwest, United, Hyatt and Marriott. Note that as of December 8, you’ll no longer be able to transfer points to Amtrak. Annual Fee: $0 the first year, then $95. Reasons to get it: Since it was introduced a few years ago, this has been one of my all-time top travel credit cards, and the one I use for most of my purchases. Still, there have been some negative developments to the card lately. For instance, the sign-up bonus spending requirement increased from $3,000 to $4,000, and the 7% annual points dividend was eliminated. Chase will also end the First Friday 3x dining bonus in 2016. However, those negatives are still far outweighed by this card’s tremendous advantages. 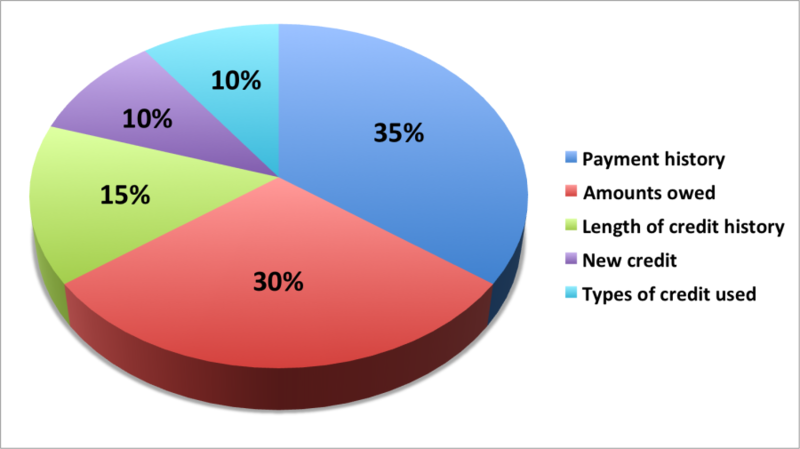 Not only are there broad bonus-spending categories that include restaurants and a range of travel purchases, but the card also offers primary rental car insurance instead of the usual secondary coverage offered by most travel credit cards, and its trip cancellation coverage was raised to $10,000. For more details on the card and why I think it’s worth applying for, check out these 5 reasons to get the Sapphire Preferred now. Then if you do get the card, be sure to check out this post on 5 things to do when you get the Chase Sapphire Preferred to make sure you maximize this card’s outstanding benefits. Sapphire Preferred or Amex Premier Rewards Gold for Dining? The BA Visa makes a reappearance on this list thanks to a 100,000-Avios bonus. Current Bonus: A total of 100,000 Avios. Earn 50,000 bonus Avios after you spend $3,000 on purchases within the first three months of account opening. Plus, earn an additional 25,000 bonus Avios when you spend $10,000 on purchases for a total of 75,000 bonus Avios. You’ll also earn another 25,000 bonus Avios when you spend a total of $20,000 on purchases within your first year for a total of 100,000 bonus Avios. Benefits: Earn 3 Avios for every dollar spent on British Airways purchases and 1 Avios for every dollar spent on all other purchases. 10% off British Airways ticket purchases with CARDOFFERU cardholder code through the end of 2015. No foreign transaction fees. Every calendar year you make $30,000 in purchases on your British Airways Visa card, you’ll earn a Travel Together Ticket good for two years. Reasons to get it: Let’s start with the downsides. First, you have to spend $20,000 in order to get the full bonus. Second, British Airways’ Avios program underwent a major devaluation (mostly for premium awards) in April that mean some huge increases in redemption requirements. The bonus categories on the British Airways Visa changed in May, which raised the bonus for BA tickets while lowering rewards for other purchases. However, there are still a lot of good reasons to get the card, including the fact that economy awards did not increase in price (in fact, some decreased), and Avios can still offer some amazing values on short-haul flights (including on BA’s Oneworld partner, American Airlines, within the US). BA has also been offering some discounted award redemptions of up to 40% lately. One of the major reasons this card might be up for consideration, though, is the fact that British Airways and Amex also decreased the transfer ratio of Membership Rewards to Avios by 20% as of October 1. That makes Membership Rewards points a less attractive option for BA redemptions, but earning Avios themselves (without having to transfer) a much better option for some folks. If you purchase flights on the airline, you can get some tremendous value from this card’s 10% discount on BA fares. Plus, the ability to spend your way to a companion award ticket, can be worth thousands of dollars if you strategize your awards. Especially with some great business-class award availability from the west coast to Europe, and some new routes from the US to the UK opening up. Current Bonus: 75,000 AAdvantage miles when you spend $7,500 in the first three months. Benefits: This card’s greatest benefit is probably Admirals Club access, which is why the annual fee is at the premium level. It also offers a credit for Global Entry or TSA PreCheck applications, which equals another $100 in value. Apart from that, cardholders earn 2x miles per dollar spent on eligible American Airlines purchases, and can earn 10,000 elite-qualifying miles for spending $40,000 on the card each calendar year, which can be a nice shortcut to earning elite status. Cardholders also get priority boarding, 25% savings on eligible in-flight purchases, first checked bag free and concierge service, and the card comes with embedded Smart Chip technology. Reasons to get it: The normal sign-up bonus on this card is 50,000 miles, however, Citi reintroduced a limited-time 75,000-point bonus in August. Before that, we hadn’t seen any increased sign-up offers on this card for about a year (when they were up to 100,000 miles). I actually wrote a post about whether or not to get the card with its 75,000-mile bonus, but the gist of it is: yes! Not only is the sign-up bonus higher than what any other Citi / AAdvantage card usually fields, but if you’re an American flyer and value lounge access, Admirals Club membership can make your travel experience much nicer. Not only that, but this card is also one of the increasingly rare ones to offer the chance to earn elite-qualifying miles based on your spending. If you can hit $40,000 in spending in a calendar year, you can earn 10,000 elite-qualifying miles, which can make all the difference in earning top-tier Executive Platinum status and those ultra-valuable systemwide upgrades. Now, many readers have asked whether to get the Citi Prestige or the Citi / AAdvantage Executive because the two cards offer similar benefits. The Executive card is a great option for American Airlines loyalists who value elite status (or perks that mimic it), while the Prestige offers a broader range of benefits not necessarily tied to American Airlines. For a thorough look at the two cards and how they stack up, check out this post, and see these tips on how to use 82,500 miles from the Citi / AAdvantage Executive Card (that’s the number of miles you’ll have once you meet the minimum-spending requirement and are credited with your sign-up bonus). Current Bonus: 40,000 ThankYou points when you spend $4,000 in the first three months. Benefits: Earn 3 ThankYou points per dollar on air travel and hotel purchases; 2 points per dollar on dining and entertainment; and 1 point per dollar on everything else. $250 air travel credit each year for things like airfare, baggage fees, lounge access and some in-flight purchases. Admirals Club access and Priority Pass Select lounge membership. No foreign transaction fees. $100 Global Entry application fee waiver. Get your fourth night free at hotels, with no blackout dates when you book four consecutive nights at any hotel via a personal travel adviser designated by Mastercard. Redeem your points for air travel at a rate of 1.33 cents apiece, or 1.6 cents apiece on American Airlines. Citi ThankYou Rewards also now has 13 transfer partners, including Air France/KLM Flying Blue, Cathay Pacific Asia Miles, Singapore Airlines KrisFlyer, Virgin America and Hilton HHonors. Reasons to get it: This card has a much higher annual fee than its mid-tier counterpart, the Citi Premier, but the Prestige comes with a ton of valuable benefits that make it potentially much more valuable. The annual $250 air travel credit equates to more than half of the annual fee, and the other great benefits (such as lounge access, a Global Entry fee waiver, the fourth night free and free rounds of golf) make this card a winner in terms of value-added benefits, if you make sure to maximize them. Citi has also made some major improvements to the ThankYou program over the last year, including the addition of over a dozen transfer partners, including, most recently, Virgin America. Immediately Denied for the Citi Prestige? You’re Not Alone! Current Bonus: 60,000 Membership Rewards points when you spend $5,000 in the first three months. You may be able to find better targeted offers through the CardMatch Tool, where you might be eligible for special targeted bonus offers like 100,000 points after $3,000 in the first three months. Benefits: This card comes with a host of valuable benefits, including a $200 annual airline rebate, access to Delta and Priority Pass lounges (as well as the Amex Centurion Lounges) and a Global Entry or TSA PreCheck application rebate (especially useful now that the TSA is ending the managed inclusion program). Reasons to get it: Though the annual fee on this card is among the highest on the market, it has several valuable perks that you can learn more about in the posts I’ve linked to below. If you can maximize benefits like the $200 annual airline rebate, lounge access, the Fine Hotels & Resorts program and Global Entry or TSA PreCheck application fee credits, this card’s perks can easily be far more valuable than the cost of the annual fee. 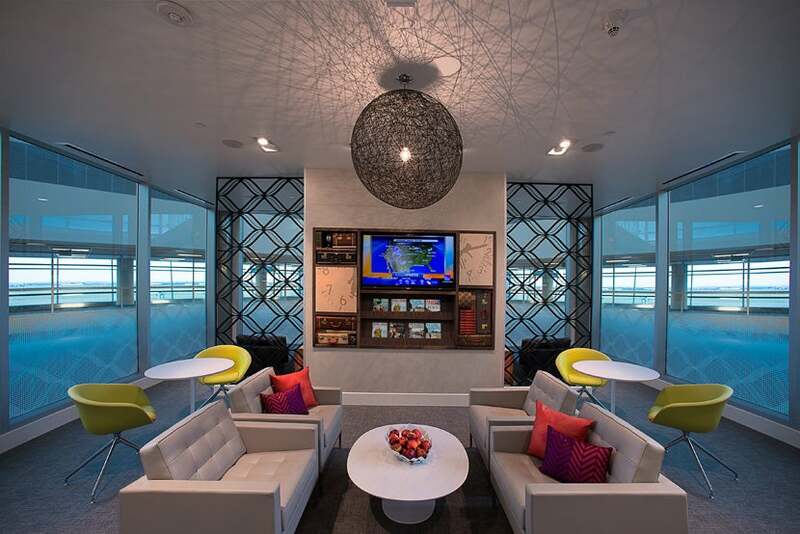 The Platinum Card did lose some of its lounge benefits last year, but Amex is actively expanding the network of Centurion Lounges throughout the US and beyond, including the recently added lounges in Miami and Seattle, and one slated for Houston in 2016. American Express Platinum Card Sign-Up Bonus Increased to 40,000 Points – Worth It? Is the Amex Platinum Worth the $450 Annual Fee? Is Amex Platinum Worth It If I’m Not Near Centurion Lounges? Current Bonus: 40,000 ThankYou points when you spend $3,000 in the first three months. Benefits: Earn 3 ThankYou Points per dollar spent on travel (including gas) and 2 ThankYou Points per dollar spent on dining and entertainment. Citi ThankYou Rewards also now has 13 transfer partners, including Air France/KLM Flying Blue, Cathay Pacific Asia Miles, Singapore Airlines KrisFlyer and Hilton HHonors. This card charges no foreign transaction fees, and it features EMV chip technology and Citi Price Rewind. Reasons to get it: There are plenty of reasons to consider the Citi Premier, including the current sign-up bonus, which was simplified from the old convoluted formula that took over a full year to earn. The greatest motivation might be those bonus spending categories, which Citi recently changed so that you earn 3x points on travel and 2x points on dining and entertainment. Citi also adjusted the travel category to include a broader range of expenses. In addition to airlines, hotels and travel agencies, you’ll now earn 3x ThankYou Points for spending on car rentals, gas, taxi/limousines, passenger railways, cruise lines and more. Citi dramatically improved its ThankYou Rewards program this past year with all-new airline partners (and occasional transfer bonuses). The annual fee on this card (which is waived for the first year) actually dropped from $125 to $95, making it an even more attractive option, and more of a competitor with products like the Sapphire Preferred and Amex EveryDay Preferred. In fact, I applied for this card myself a few months ago and have enjoyed using it so far. Which Citi ThankYou Rewards Partner Is Best? Current Bonus: 40,000 Rapid Rewards points after spending $2,000 in the first three months. Benefits: Earn 2 points per dollar on Southwest Airlines, and on eligible Rapid Rewards hotel and rental car purchases. No foreign transaction fees. Earn 6,000 bonus points each year after your account anniversary. Reasons to get it: Chase relaunched this increased sign-up bonus last month, which is double the normal 25,000 points. While this card doesn’t come with many additional benefits — especially considering it doesn’t waive the first year’s annual fee — it does offer a solid overall return with a low spending requirement. I peg Rapid Rewards points at 1.3 cents apiece in my most recent valuations, so the bonus is worth about $650. However, those points can be worth double if you can leverage this offer to earn the Southwest Companion Pass, which allows you to bring a companion along on any flight, including those you book with points, essentially giving you twice the points power. How Can I Get the Southwest Companion Pass for 2015/16? Current Bonus: Two weekend night certificates after spending $2,500 in four months. Each certificate is good for one weekend night (standard room, double occupancy) at most hotels and resorts within the Hilton Worldwide portfolio. Benefits: Earn 10 HHonors points for every dollar spent on hotel stays within the Hilton Worldwide portfolio, 5 points for every dollar spent on airline and car rental purchases and 3 points for every dollar spent on all other purchases. Receive automatic Hilton HHonors Gold status, and earn Diamond status with $40,000 in annual spending. No foreign transaction fees. SmartChip technology. Visa Signature benefits. Cardholders who spend $10,000 annually (starting on your annual fee date) get a free weekend night certificate on the account anniversary. Reasons to get it: The free nights, automatic Gold status and the ability to earn Diamond status through spending all make this card a top choice for Hilton loyalists, but also for folks who can maximize its benefits and use those free weekend nights at high-end properties, since the sign-up bonus alone can be worth thousands of dollars depending on where you redeem those certificates. Another great benefit: If you spend $10,000 annually, you also get another free weekend night certificate, which can far outweigh the card’s $95 annual fee depending where you redeem it. Citi sometimes offers a limited-time $100 statement credit for your first Hilton stay within three months of account opening, but that extra little incentive isn’t available at the moment. If you aren’t in a rush to apply, you might hold out to see if that offer shows up again, but this is a great card even without it. Current Bonus: 85,000 points, 50,000 of which will be earned after your first purchase, plus 35,000 more points once you spend $2,500 within the first 90 days. Benefits: Earn 10 points per dollar spent at participating Carlson Rezidor hotels and 5 points per dollar spent everywhere else. Automatic Gold status. Earn 40,000 renewal bonus points each year when you renew your card. Reasons to get it: You might be surprised to see this card on the list because Club Carlson announced two rather large devaluations recently: removing the bonus night award benefit on its credit cards, including this one, and then changing categories on over 300 properties (with most going up at least one tier). As a result, many cardholders closed their accounts. However, there are still some good reasons to consider this card, including the annual 40,000-point cardmember bonus, automatic gold status and pretty great earning on everyday spending. For more on the program, check out these posts.